Paris Fashion Week (Haute Couture) Spring-Summer 2016 has vacated its prestigious and highly secretive venue for another season. But it leaves behind the intoxicating and scandalous scent of a new-found freedom. Chanel, Dior, Maison Margiela, Valentino, Jean-Paul Gaultier, Armani... The big names of Haute Couture all made their presence felt at the event that shook the Parisian fashion sphere. They gave us shows that can only be described as ‘no holds barred’. First up, we saw the dress - that runway flagship piece - break free of its outdated constraints and reinvent itself time and time again. 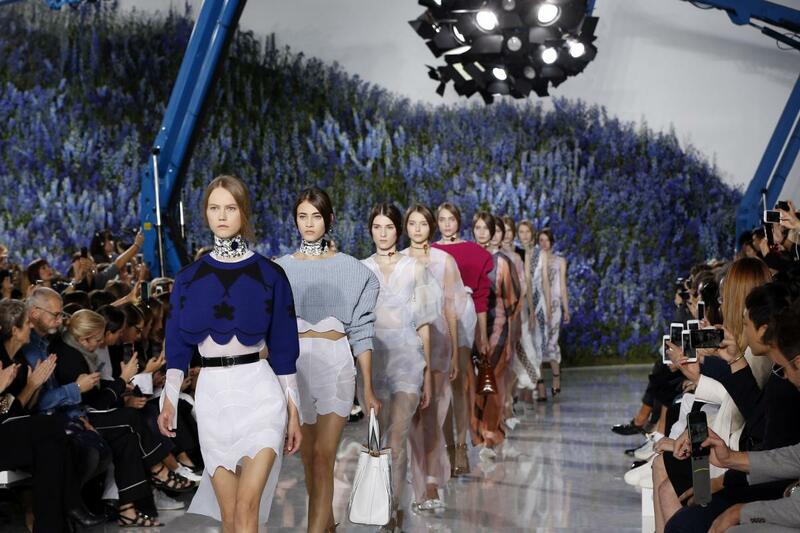 At Dior, juvenile silhouettes - ultra-easy yet sophisticated - paraded through a hall of mirrors in a collection brought to life by stylists Serge Ruffieux and Lucie Meier, who succeed Raf Simons. With absolute freedom, some of the newest faces in fashion also played with the concept of metamorphosis. Yiqing Yin encapsulated the essence of a female phoenix rising from the ashes and coming back to life. Stéphane Rolland used feathers to add texture and movement to his skirts, and his tops took on an almost reptilian feel. As for Julien Fournié, his foray into the tropics mixed exotic greens with shades of purple, creating an alluring tropical cocktail. Insects also created a buzz among the audience. The whispering wings of bees, ladybugs and butterflies brought a light touch to his outfits, while a spider wove its silken web around a model’s waist. From black widows to quirky, Grecian-style dresses, the women of Fashion Week made their mark in a display of radical style and total freedom.